Lacy's Stiff Stuff beading foundation for cabochon beading, bead appliqué, sewing and so much more. Durable and stiff; yet a needle glides through it. Holds its shape even when wet; washable and shrink resistant. Glue on cabochons and you are set to go in 20 minutes! You can even dye white Lacy's to match your background, your thread or your heart's desire! 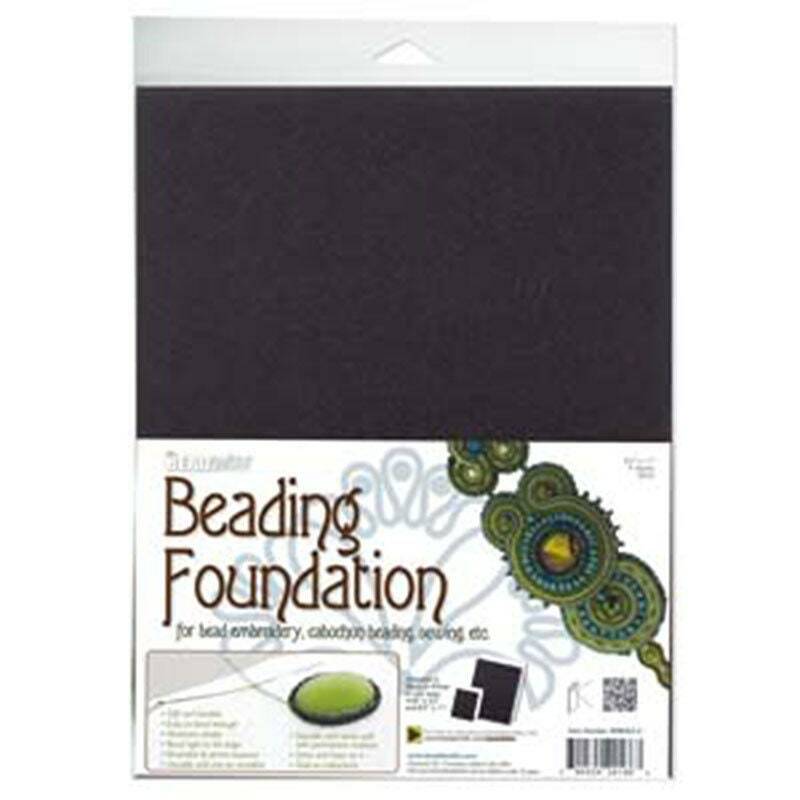 This listing is for package of 4 pieces of 8.5 x 11 inches beading foundation in black. I've bought this off of Amazon several times, but found it cheaper thru this shop! It's just what I needed and fast shipping. Thank you! Great to have this black foundation to work on for designs with a darker palette. Good backing for bead embroidery. Very quick shipping.